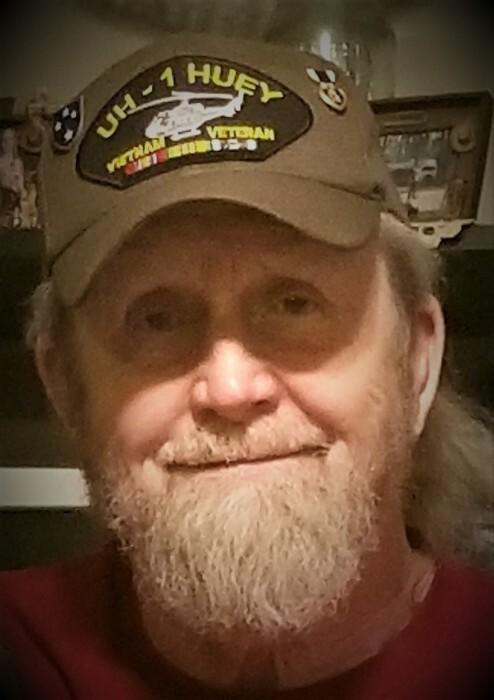 Mr. Paul Barron “PBR” Reeves, age 70, of Opelika, AL passed away on Sunday, February 10th, 2019 at his residence. He was born on March 10th, 1948 in West Point, GA at the late Paul E. and Myrtle P. Reeves. Mr. Reeves is survived by his brother, Phillip (Kathie) Reeves; his two daughters, Cammy (Sunny) Johnston and Karen Reeves; his three grandchildren, Kyle (Amber) Norrell, Dustin Johnston, and Mandy (Mike) Simmons; his six grandchildren, Paisley, Kade, Parker, Kyler, Autumn, and Andrew; his nephew, Shane (Angie) Reeves; his niece, Rachel (Steven) Dembo; three great nieces and nephews, Kane Bell, Daylee Dembo, and, Creed Dembo; numerous cousins; a host of friends; his special cat, Daisey. Mr. Reeves was of the Baptist faith. Mr. Reeves was a U. S. Army veteran who served two tours of duty during the Vietnam War. He received a Purple Heart for wounds he sustained while in combat. He was also awarded the National Defense Service Medal, Vietnam Service Medal with two Campaign Stars, Air Medal, Aircraft Crewman Badge, Army Commendation Medal, two Overseas Bars, Marksman Badge with Pistol Bar, and Expert Badge with Rifle Bar. He retired from the Auburn Fire Department as a Deputy Fire Chief. He was an avid Auburn fan and also liked to watch racing. His greatest joy was spending time with his family. Funeral services will be held on Thursday, February 14th, 2019 at 12:00 Noon (EST) at the graveside in Fairfax Cemetery in Valley, AL. Assistant Fire Chief Chris Wessels will officiate. The family will receive friends Thursday morning from 10:00 AM (EST) until 11:45 AM (EST) at the Johnson Brown-Service Funeral Home in Valley.